From the rear side cover: At the time of his enlistment in the Royal Air Force, Frank Hunt (rechristened ‘Mike’ thanks to the forthright humour of his RAF colleagues) could have had no inkling of what the next 12 years had in store for him. 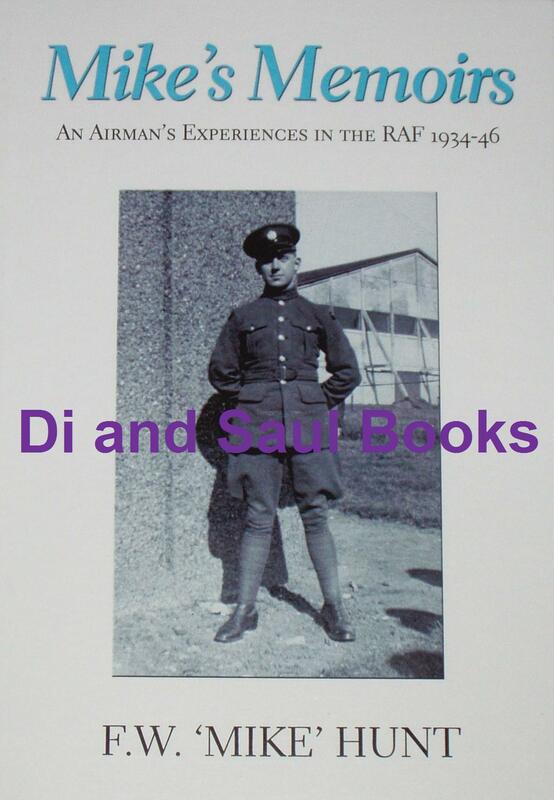 His many experiences in uniform are the subject of this fascinating and amusing account, which takes us from his induction and basic training at West Drayton and Uxbridge in 1934 to his demobilisation in 1946. During the intervening years he was to have a wide variety of experiences in both peace and war. His first posting was to the Marine Aircraft Experimental Establishment at Felixstowe to work on flying boats. After a spell in North Africa in the mid-1930s he returned to the UK and was posted to RAF Kenley in 1938, where he joined the ranks of 615 Squadron. At the outbreak of hostilities in 1939 his squadron was mobilised and sent to France as part of the British Expeditionary Force. There he would experience the ‘Phoney War’ and the subsequent emergency evacuation from Dunkirk. Back on English soil, his squadron was heavily involved in the Battle of Britain. Later in the war he was transferred to Netheravon where he was involved with the Airborne Division on glider operations both at at home and in North Africa in preparation for the disastrous airborne assault on Sicily in 1943. His recollections are peppered with many humorous anecdotes as well as containing a good deal of interesting and historically valuable detail about his varied experiences in the line of duty.